Real cult coupés come from Opel. 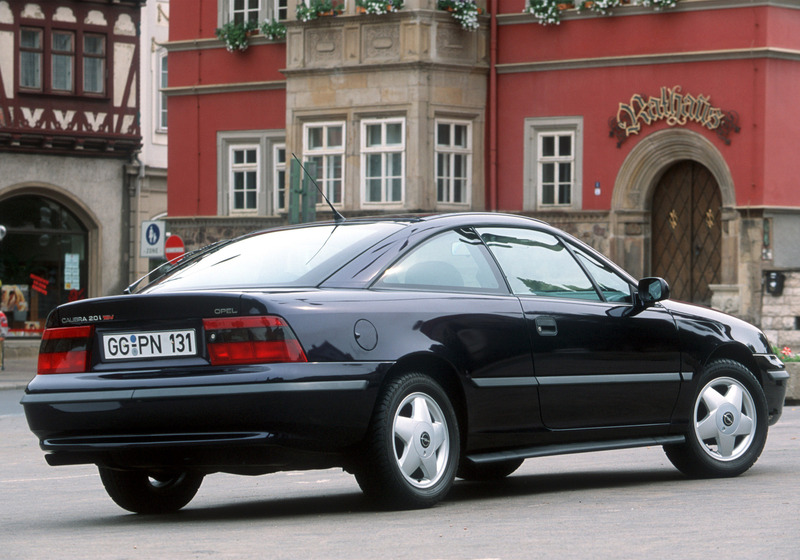 Following the successes of the Manta, Opel GT and Monza, the sleek Calibra continued Opel’s winning formula when it premiered at the Frankfurt Motor Show (IAA) in 1989, exactly 25 years ago. It was an extremely progressive concept way ahead of its time, with the best drag coefficient of all series production cars, independent wheel suspension and semi-trailing arm rear axle, optional all-wheel drive and ultra-modern gasoline engines with closed-loop-controlled catalytic converters fitted as standard. These attributes were recognized in 1990 when the Calibra won the coveted Golden Steering Wheel, Germany’s most prestigious automobile award. The 2.0-liter entry-level engine with 85 kW/115 hp propelled Opel’s aerodynamic world champion to a top speed of 203 km/h, while the 150 hp, four-valve version went on to 223 km/h. Despite such impressive performance, the Calibra 16V was still able to return 7.7 l/100 km combined cycle fuel consumption. In other words, this was sporty looks and performance with no compromises – typical Opel, just like the low entry-level price of 33,900 marks. 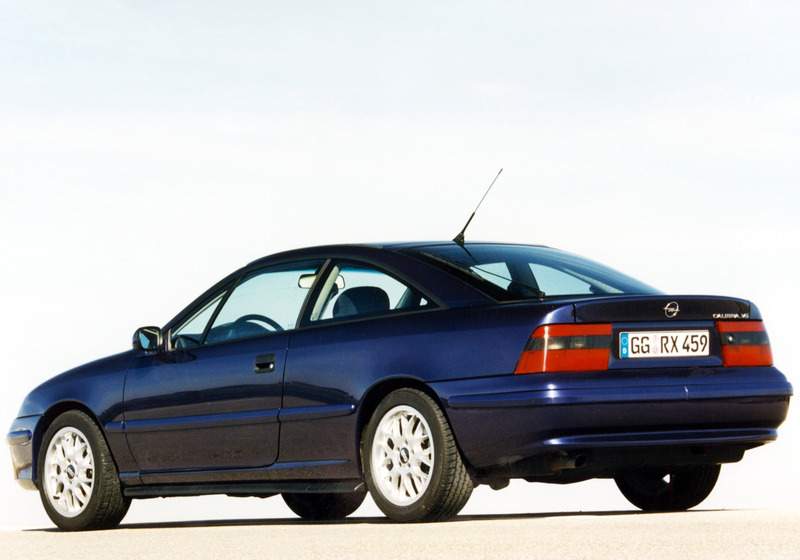 This kind of value is, of course, a tradition for coupés from Rüsselsheim. 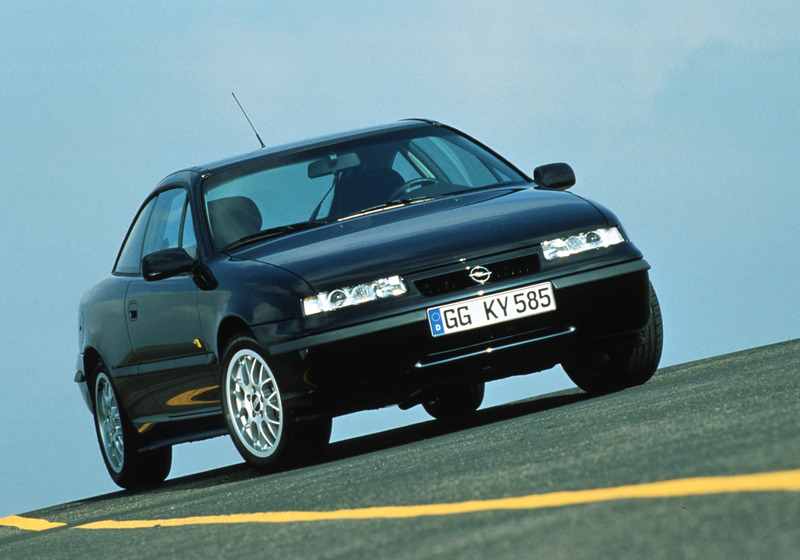 The legendary Manta already benefitted from the high volume production technology of the Ascona, and the Calibra leveraged a similar gain from its close relative, the Opel Vectra. 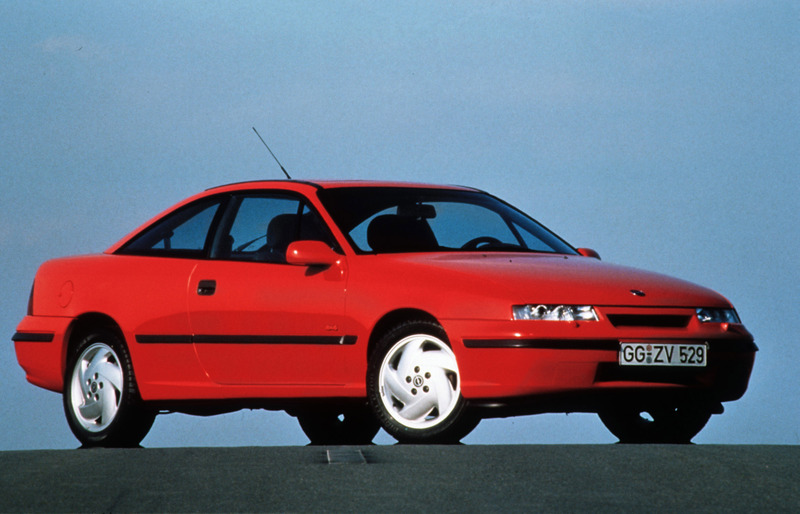 As a result, the Manta and the Calibra were both affordable dream cars that became cult coupés thanks to their successful recipe of sportiness with economy and reliability, and both are now much sought-after classic cars. 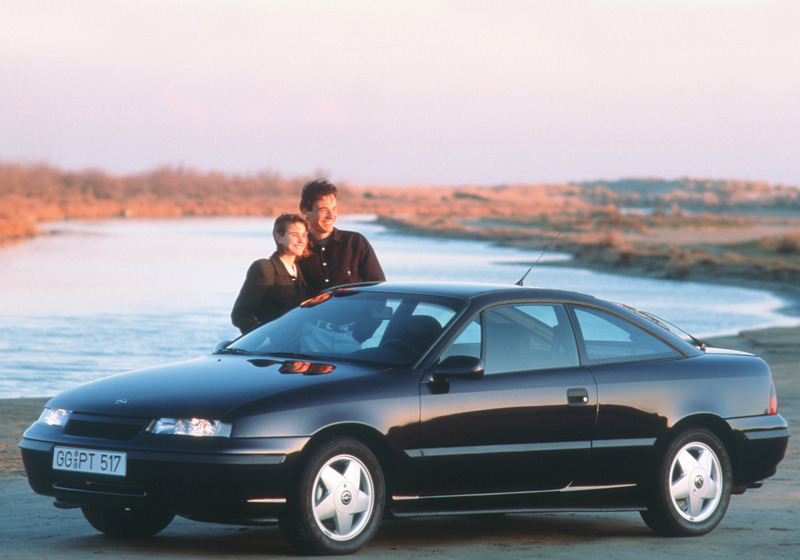 The Calibra united exciting design with optimized aerodynamics and uncompromised everyday practicality. The wide-opening tailgate gave easy access to a versatile, 980-liter luggage compartment. 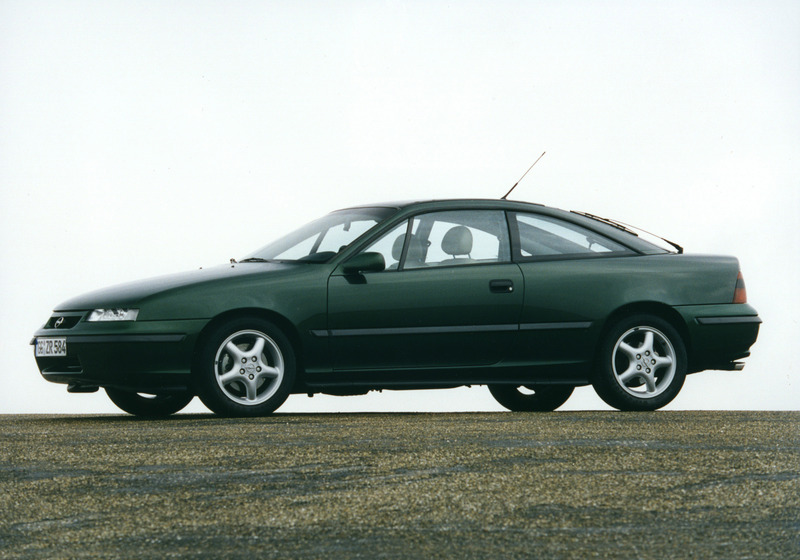 And despite its coupé format, the Calibra’s long wheelbase ensured all four occupants had plenty of space and comfort. Generous standard equipment included power steering, a five-speed close-ration gearbox, a six-speaker audio system and tinted windows. Air conditioning, a four-speed automatic transmission and an electric tilt/slide sunroof were among the options. 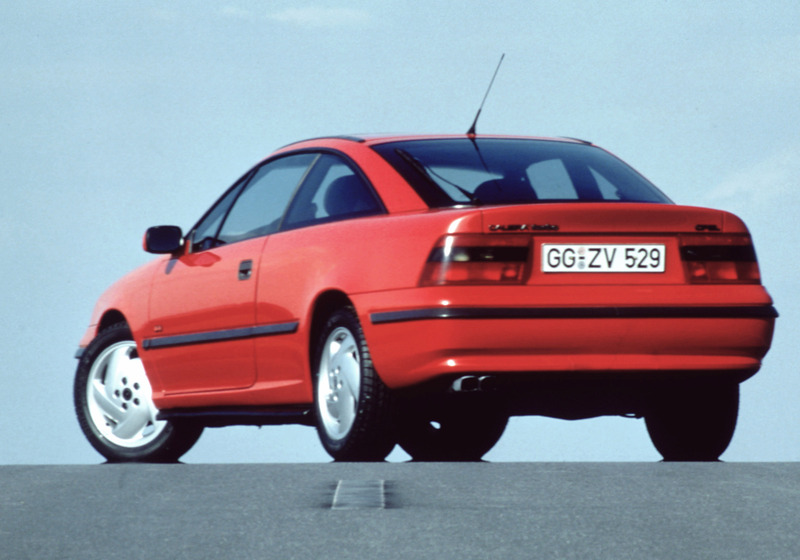 In developing the Calibra, Opel engineers were already focused on pedestrian protection, a top issue today. Trend-setting features such as the slippery body shape, rounded edges, the hidden windshield wipers and concealed roof drip moldings would become part of future vehicle design. Electronic ABS and sleek, new ellipsoid headlamps with a higher light output, sharp contrast and reduced light scatter improved active safety. And the large, beautifully integrated front and rear bumpers were designed to absorb plenty of impact energy in the event of an accident. At market launch in 1990, a high-quality all-wheel drive system was optionally available in addition to the standard front-wheel drive for both 2.0-liter gasoline engines. 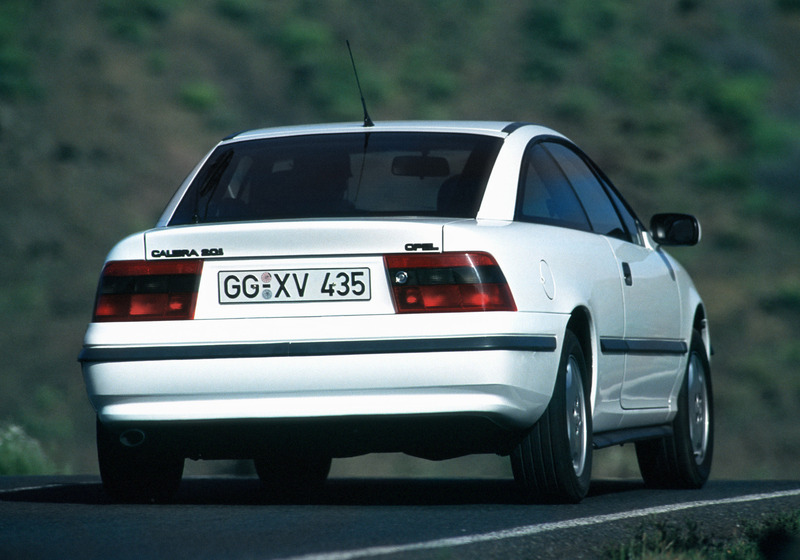 The Calibra 4x4 impressed with excellent traction, superb braking stability and ultra-safe driving behavior. 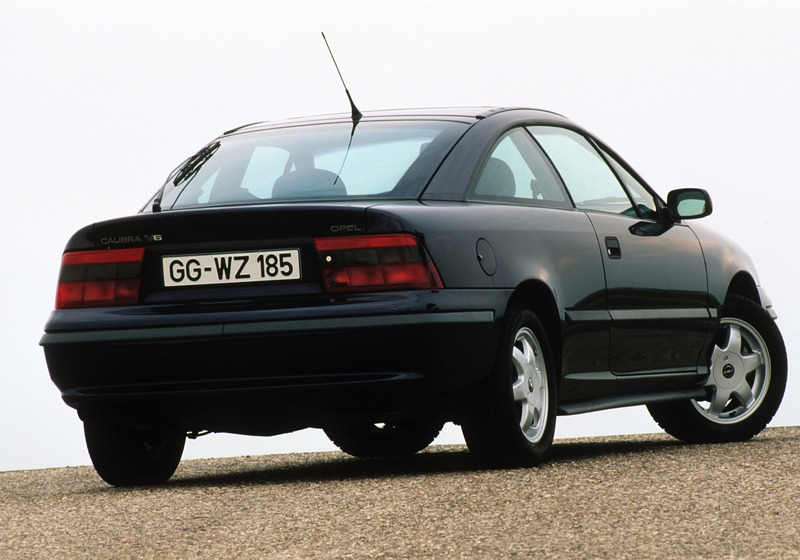 They were qualities that deserved even more power under the hood – and in March 1992 Opel made waves when the Calibra Turbo entered dealerships at a highly-competitive price of 49,800 marks. All-wheel drive, a six-speed gearbox, sports seats and 16-inch light alloy wheels with wide, 205/50 tires all came as standard. But the big story was the 2.0-liter turbo engine pumping out 204 hp (150 kW) with a massive torque ‘curve’ that resembled the elevated plateau of Table Mountain in Cape Town. In short, whenever the driver of a Calibra Turbo knocked on the door, there was always someone at home! The Calibra’s Keke Rosberg Edition is, of course, legendary. Just in time for its works debut in the German Touring Car Masters (1993/94), Opel introduced the new 125 kW/170 hp, 2.5 V6 Calibra, together with 2.0-liter four-cylinder variants in Opel’s white-yellow DTM look. 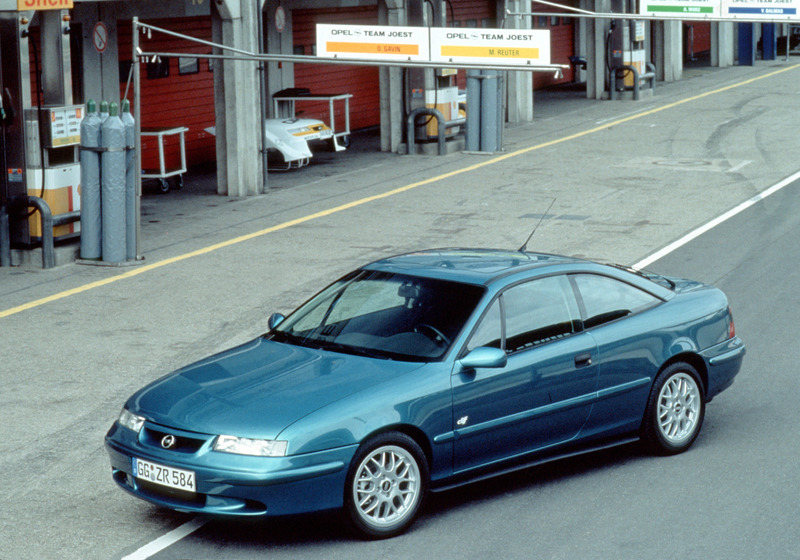 Customers who chose a Calibra Cliff Motorsport Edition in May 1996 were way ahead of the game. Its paintwork was the same as the Class 1 racing car in which Manuel Reuter would win the ITC championship – successor series to the DTM with World Championship status – for Opel at the end of the season. The street-legal Cliff racer had a 20 mm lower sports chassis, BBS light alloy wheels (7J x 16) and a price advantage of 3,601 marks. 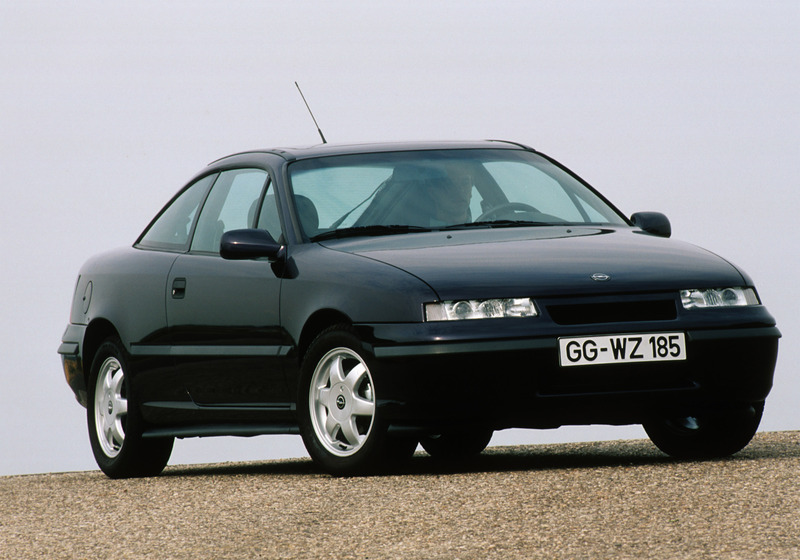 Just one year after its ITC success, the Calibra entered another home stretch, this time towards the end of production. After 222,000 registrations since 1990, a special limited volume Last Edition was created as a final chapter in the Calibra story. It could be ordered until the end of April 1997 and came with a sports chassis, BBS wheels, leather trim and air conditioning to provide a luxurious experience. The engine choice comprised the 2.5-liter V6 or a 136 hp/100 kW, 2.0-liter, four-cylinder unit. August 29, 1997 marked the official end of production. After seven years, 238,647 Calibras had been produced at the main plant in Rüsselsheim, and also at Valmet in Uusikaupunki, Finland. To meet high customer demand, the production run in 1990 was increased to 60,000 units from a planned volume of 20,000, with part of this being produced at Valmet Automotive. 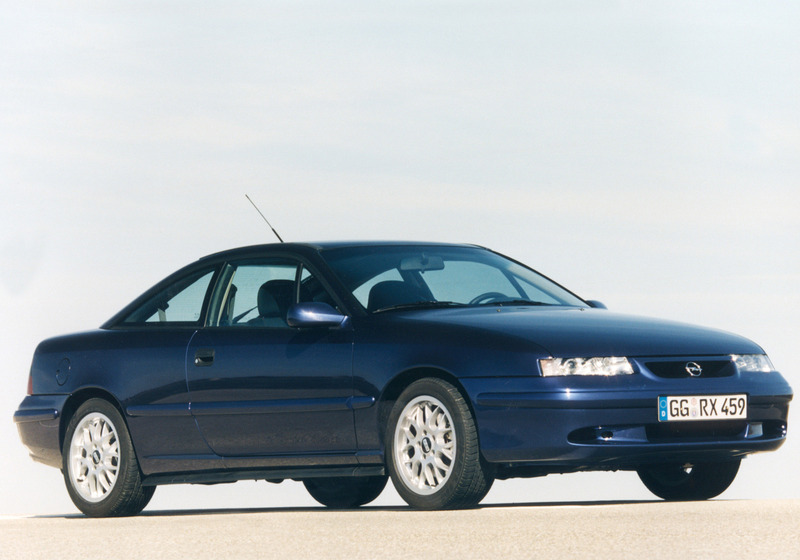 The Calibra’s biggest markets were Germany, the UK, Italy, Spain and France. The 115 hp entry-level model led the sales charts with production totaling more than 130,000 units, followed by the 150 hp, 2.0-liter version, of which more than 61,000 were built. 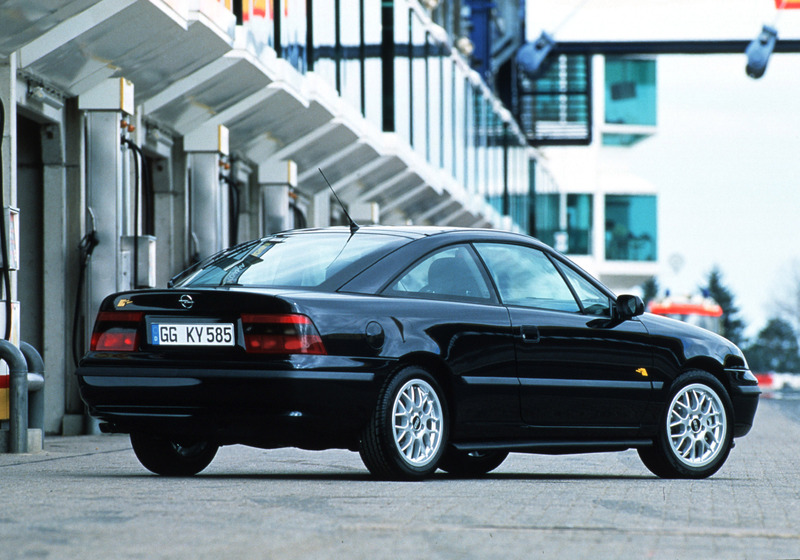 Fittingly, it was a black Last Edition with a 2.0-liter, four-valve engine which rolled off the assembly line as the final Calibra to be made. Today, Opel Classic enjoys showing this car at many Youngtimer events, where the beautiful coupé always ends up a crowd favorite.